Long winters days, tucked up inside often have my kids missing the sunny days of yesterday when they could go outside and play. Over the last summer and spring, we enjoyed playing outside, exploring different sights and smells and lots of water play. We washed the cars (grown up cars and the kids ones! ), experimented with different coloured ice and mixing different coloured water to see what new colours we could create. We poured and stirred. We used cups and bottles, spoons and bowls and funnels and hoses. While the skies are dark, wind is buffeting and rain is pouring, the chance of water play seemed so far away. That was until Miss 4 made mention of how lovely and warm our dishwater was while washing the dishes. 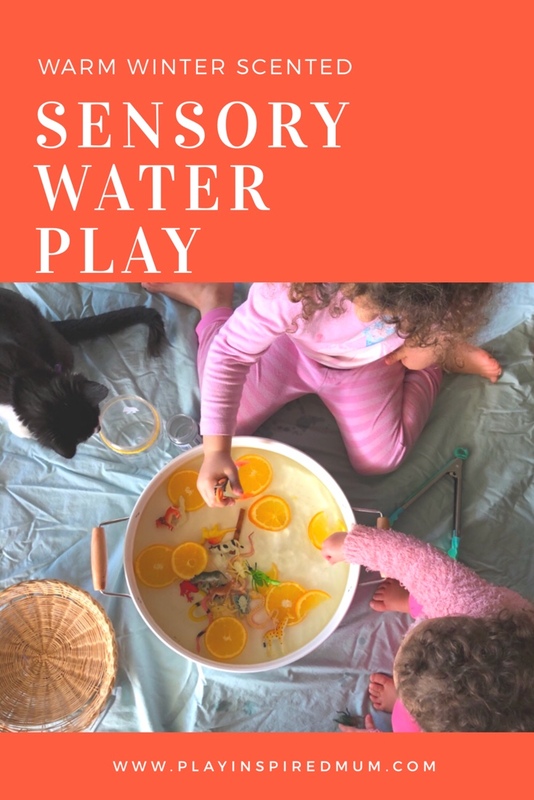 Bring on some warm water sensory play! 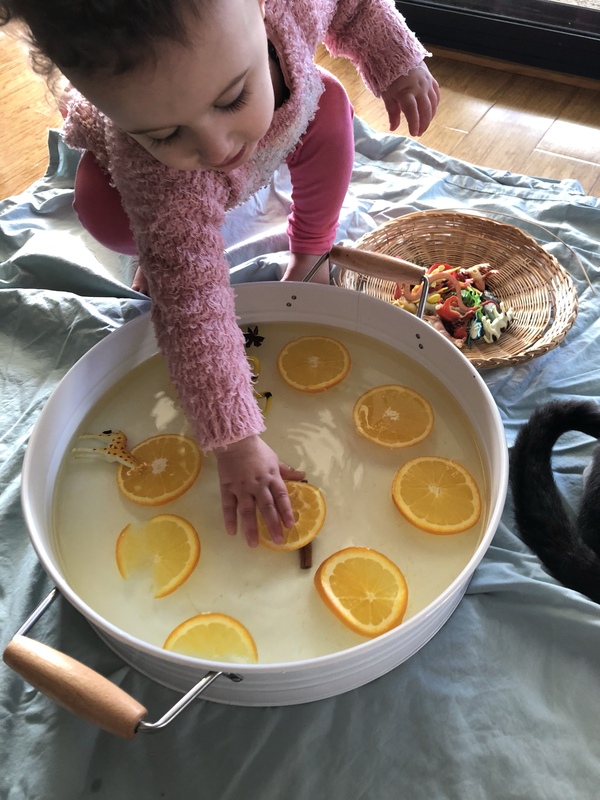 Thinking back to a trip to a local winery when a lovely lady made the suggestion of mulled wine scented with spiced orange tones, I thought we could add another extra element to our sensory tray water play. 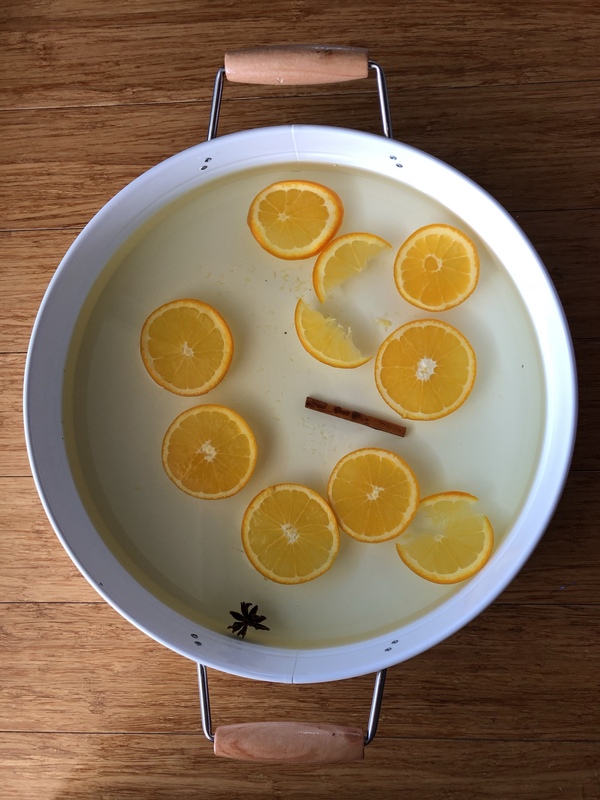 We added a sliced orange, cinnamon stick and some star anise to a tray of lukewarm water. Within no time the scent of the orange began to fill the room. Miss 4 and Miss 16m were a bit hesitant at first. 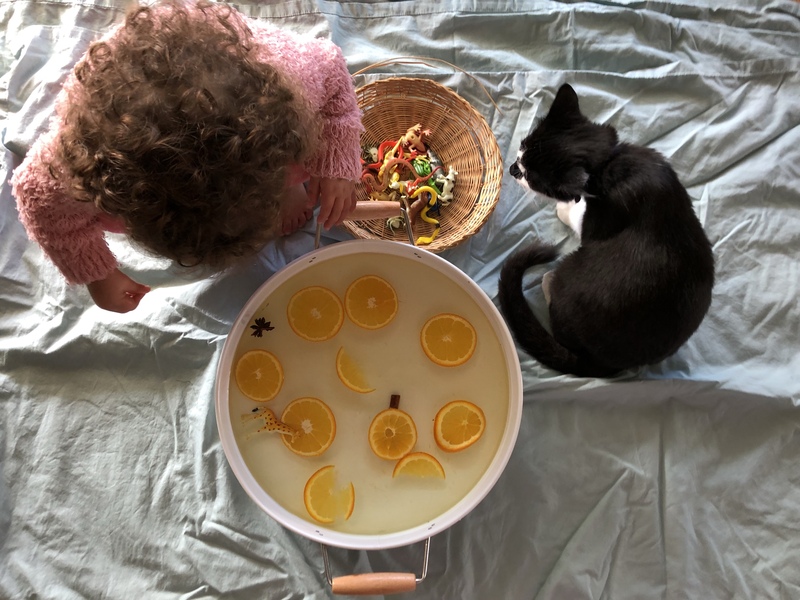 Once I explained what each of the elements were, Miss 4 was accepting of the invitation to play, quickly followed by her sister. We spoke about what each of the elements were, we smelt them individually and tested them to see if they float or sink. From there on, I left the girls (and the cat!) to explore on their own, only offering them the words to dictate what they were doing. After a few minutes, Miss 4 ran into the toy room and retrieved a bundle of goodies. She had collected tongs, plastic animals and a couple of old jars. It was really interesting to sit back and watch her try to navigate her sister through her expectations and then attempt to negotiate with her with limited change to Miss 16m original intentions. Miss 16m has up until recently been rather compliant to her sisters instruction. The last couple of weeks she is really starting to form her own opinion and be more independent. 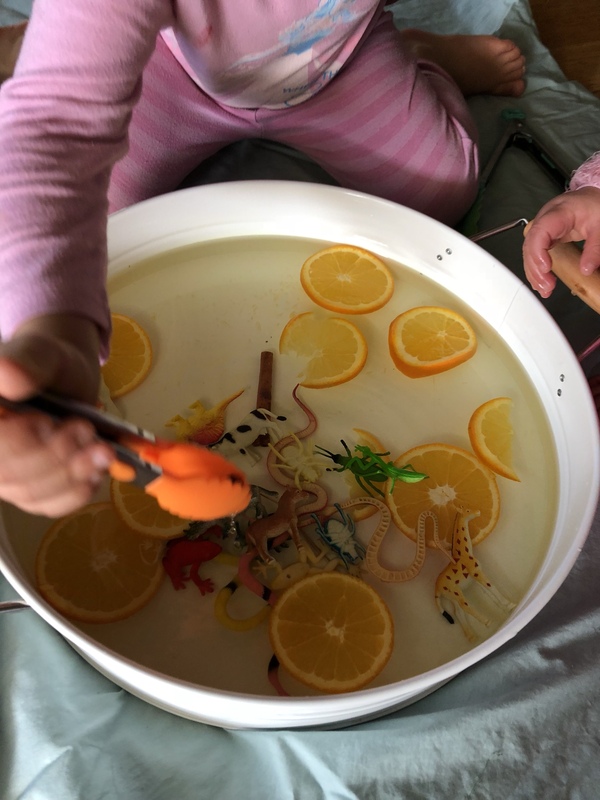 The girls had a lovely time using the tongs to position the animals into groups, balancing them onto the orange slices and watching them swirl in the moving water. 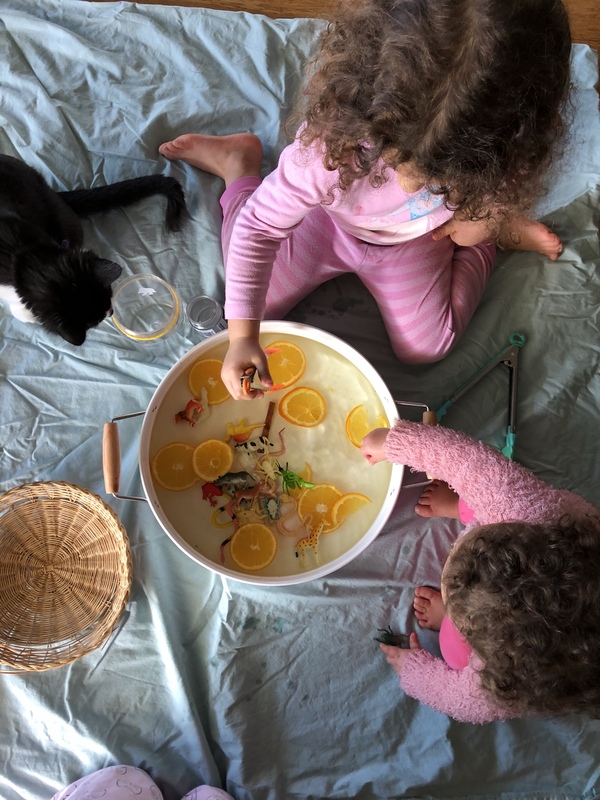 Miss 4 then started to pack them into a jar with the orange slices to make ‘dinner’. 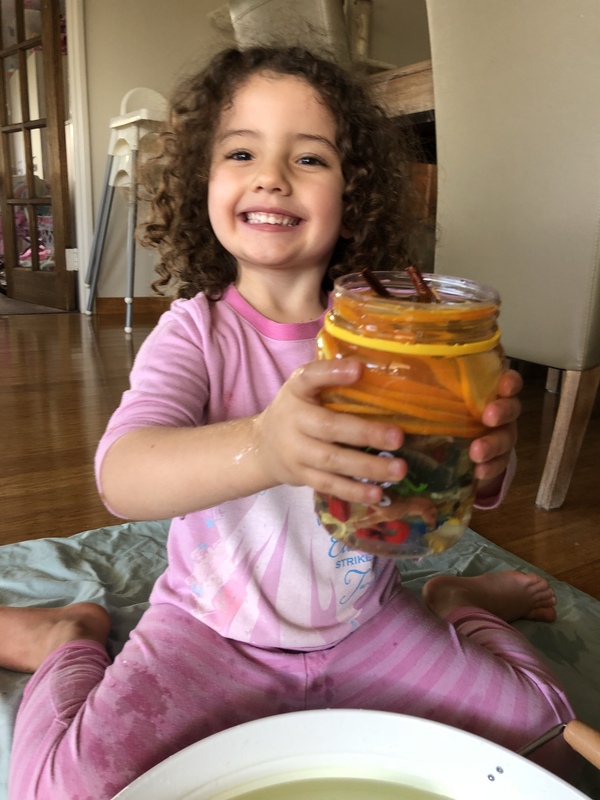 Miss 16m instinctively tasted the different elements. She much preferred the sweet orange over the wooden spices. 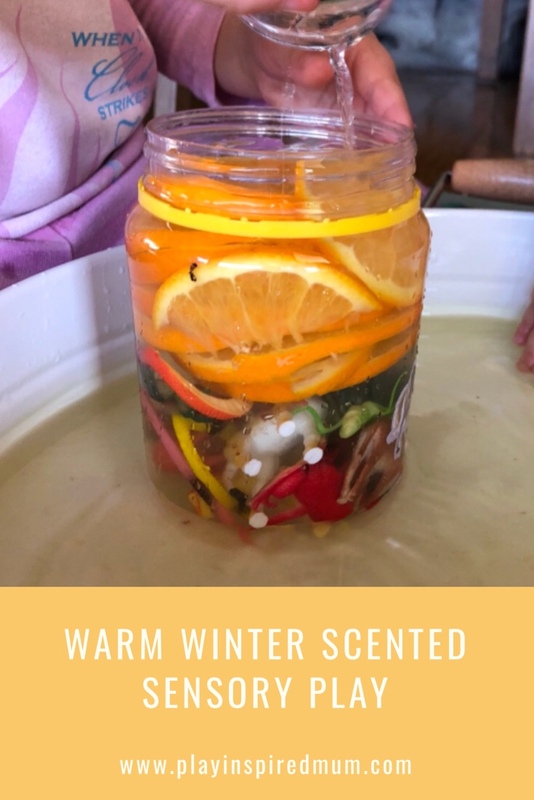 They took turns pouring the winter scented water between the jars and started to splash about. 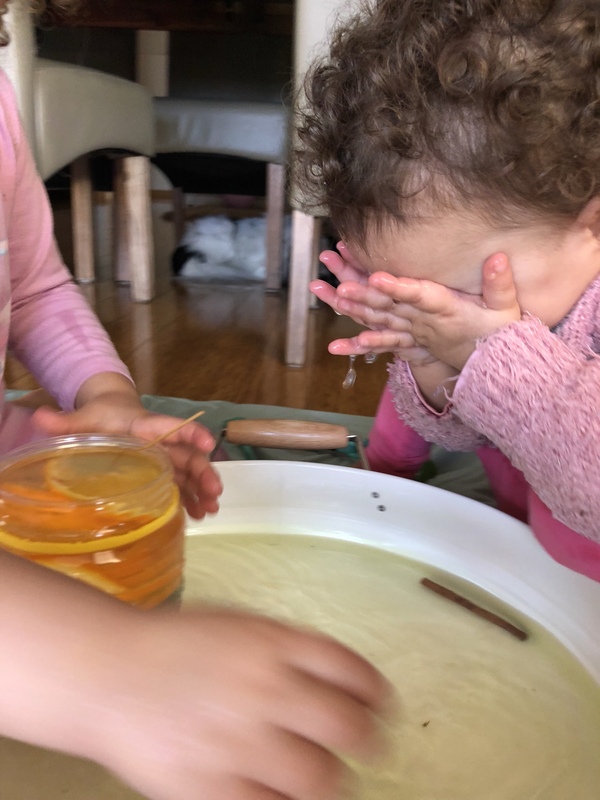 Miss 16m loved splashing the water onto her face and proceeded to try and soak her curls too. 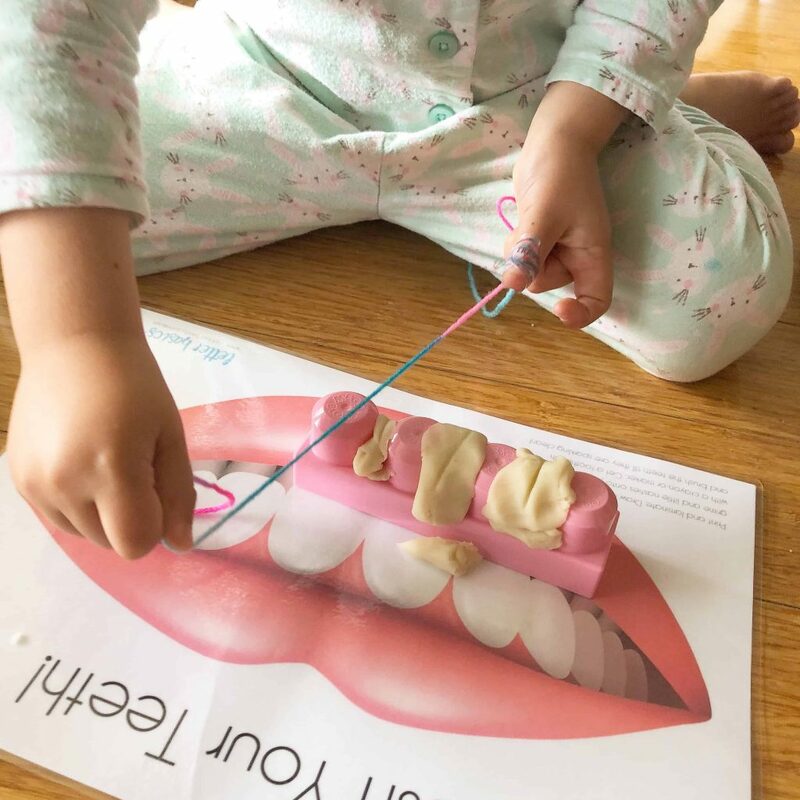 Both the girls loved this easy to set up activity. 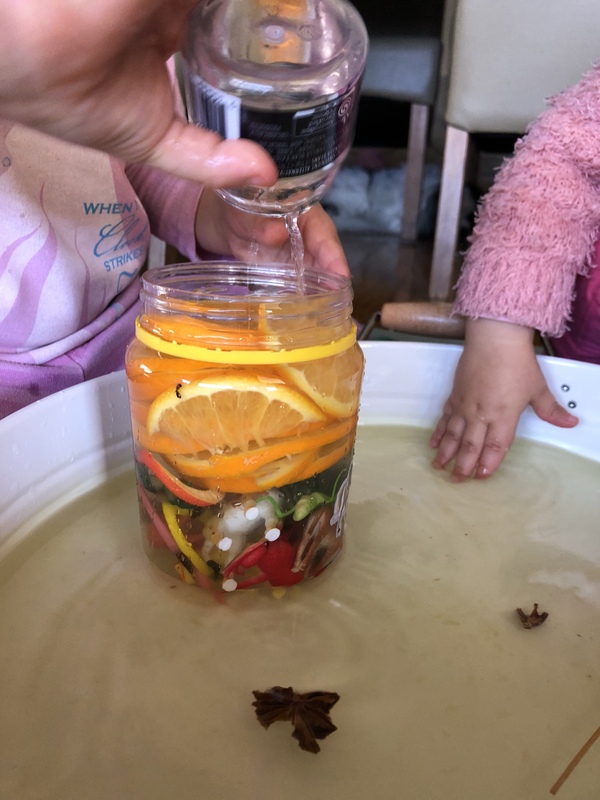 It was lovely to get some water play happening again even though the weather wasn’t typical to warrant this style of sensory play. Adding the orange and spices was a huge hit and one we will revisit again. It has really got me thinking of different combinations that we could try. 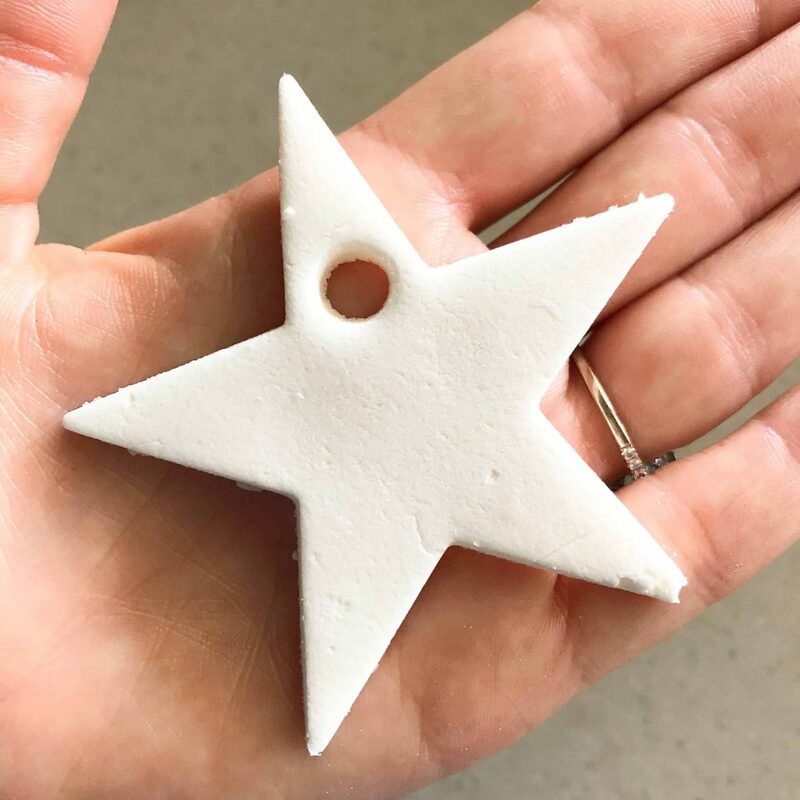 They say scents are a powerful trigger of memories. I hope that the associations this combination of scents will remind them of the fun they had this dreary winters day. 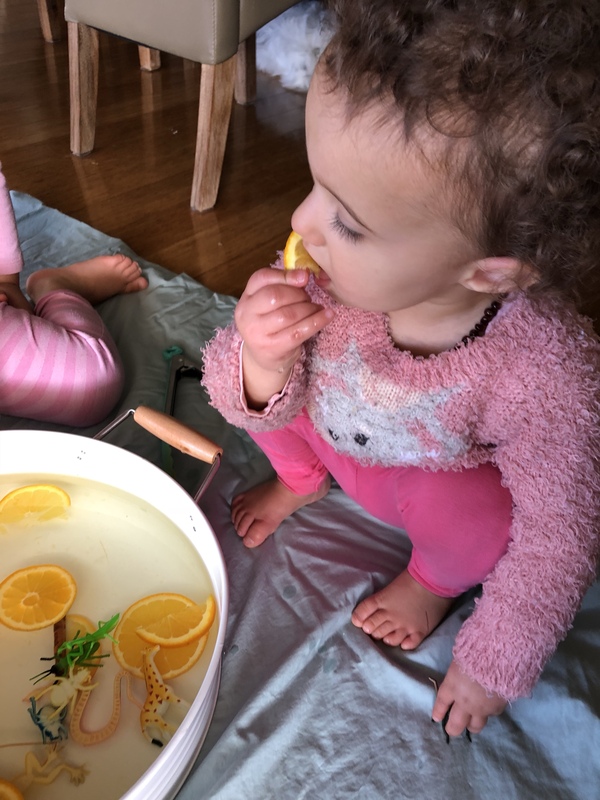 Our warm water sensory tray activity was full of learning through play opportunities. These are skills that can be continued to be practised and refined throughout childhood and well into adulthood. 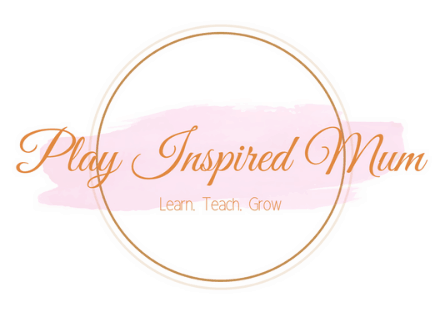 Learning through play – it is so much more than just having fun! 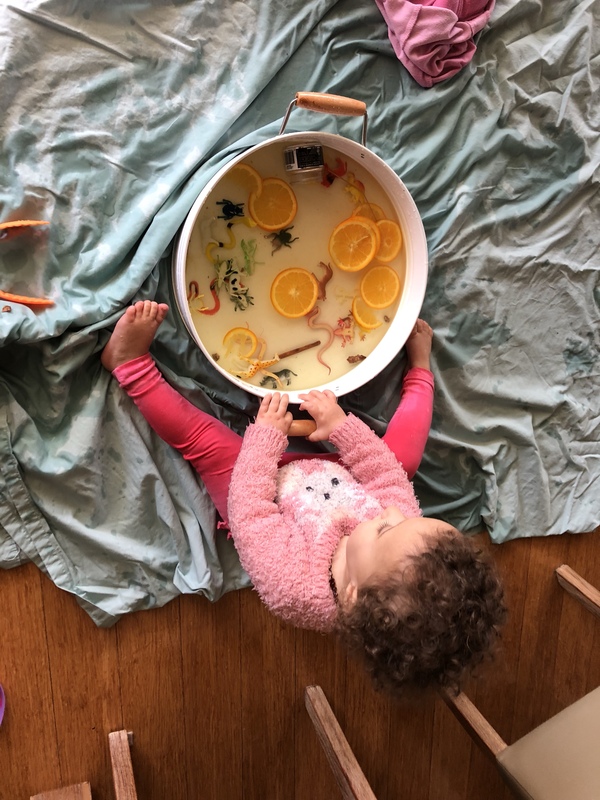 What flavour combinations would you try in your warm water sensory tray? 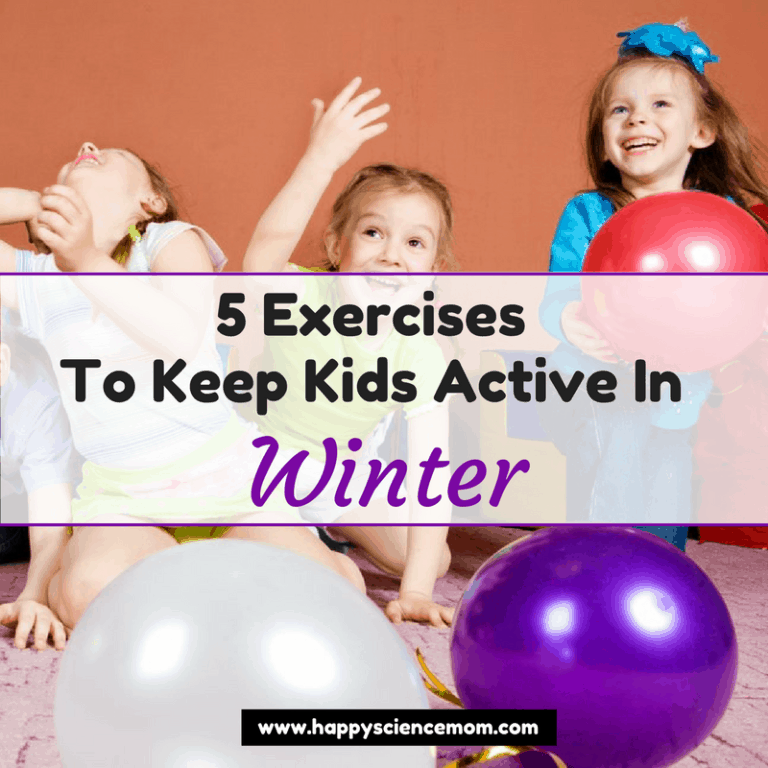 Keep the kids active in winter with these 5 fun exercises! Next ArticleSquishy Discovery Bags of Fine Motor Fun!